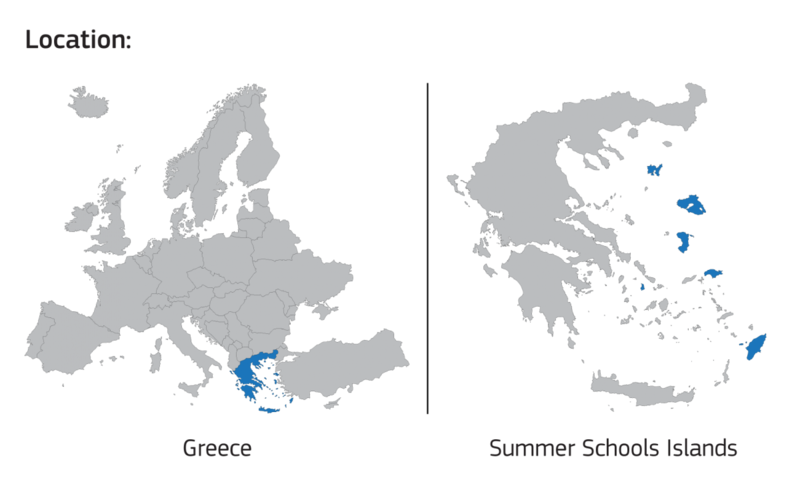 The “University of the Aegean Summer Schools” are supported by the project «The University of the Aegean, the prominent and driving factor for the economic and social growth of the wide Aegean area» of the Operational Programme “Education and Lifelong Learning”, which is co-funded by European Union (European Social Fund) and National Resources. 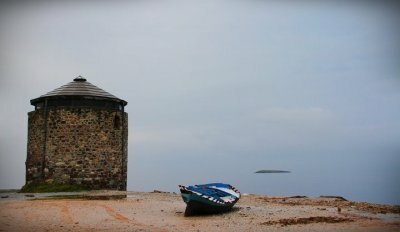 The University of the Aegean and the University of Amsterdam welcome applications for the multi-disciplinary international Summer School ‘Cultures, Migrations, Borders’ that will take place on the island of Lesvos from June 28 to July 10, 2012. The larger socioeconomic transformations in Africa and Asia have resulted in increased migration flows to Greece and to Europe in general. Greece and the Aegean Sea have served as one of the entry “gates” of Europe, as its geographical position is at the crossroads of populations and cultures. These border crossings have become hot debates especially under the current crisis as they are intertwined with issues of culture and identity formation, the European Union and state policy, and constructions of Otherness. Borders can be approached through their physical and more abstract dimensions, in their making and remaking, and in relation to their cultural, social, political and economic aspects. Cultures can be viewed with a keen eye for the simultaneity of tacit overlap, covert cultural intimacy and overt strategic essentialisms. By drawing on an increasing interest in the study of cultures, migrations and borders, our summer course examines how migrations shape and are shaped by processes of boundary formation in a variety of cultural encounters. In addition, fieldtrips will form the basis for project preparation and presentation. Students will have the opportunity to visit a center that hosts unaccompanied under-age refugees, experience border life and the reality of border crossing from Greece to Turkey, and learn about the cultural heritage of Lesvos. They will gain practical experience, develop research skills, and learn how to place their findings within wider local and global processes, while they acquaint themselves with life on an Aegean island. Ph.D. students will have the opportunity to present their work at a seminar designed for their needs. Drawing on an increasing interest in the study of migration and borders, this summer school aims to bring together postgraduate students and academics from different European universities and research centres working on this field. In particular, the programme intends to consider how migrations and the resulting different forms of coexistence of the established and the outsiders shape as well as are shaped by processes of boundary formation and (dis)continuities in everyday practices. Borders will be approached through their physical and more abstract dimensions. They will be studied in their making and remaking, and viewed in terms of how they link with cultural, social, political and economic aspects. Finally, cultures will be examined with a keen eye for the simultaneity of tacit overlap, covert cultural intimacy and overt strategic essentialisms. The island of Lesvos, situated on the NE Aegean border between Greece and Turkey has historically been at the crossroads of populations and cultures. Moreover, during the last three decades, it has been one of the most important gates into Europe for Asian and African informal emigration as well as a place of constant production of shifting meanings of “border” and “Europe”. Through its borderline history, Lesvos has become both an axis of past conflict and painful memories and of contemporary socio-economic inequality and cross-cultural contacts. Now, it is also becoming a site of an educational crossroad with the establishment of this multi-disciplinary Summer School. Communities along the border between the EU and its south-eastern neighbouring states witness complex forms of mobility across different boundaries. In this respect, they are heavily involved in the production and negotiation of cultural difference as an integral aspect of migratory flows and, more widely, border crossing. This is manifested in the cultural encounters and interactions that are intrinsic in migratory processes and population movements across borders, encounters which are informed by the values and the ethno-religious attitudes of both migrant and host communities. On the other hand, the changing forms that cross-border mobility takes -labor migration, refugee flows or shopping and petty-trading mobility- determine the porosity of borders, which is also defined by the wider institutional context through migration and refugee legal frameworks and policies. Culturally defined meanings of borders, produced on the borders, are intertwined with perceptions of and practices towards the Other (stranger, foreigner, migrant, refugee). The degree to which the experience of the border determines the conceptualizations of the Other, as well as the border itself, is an important issue in contemporary debates in the social sciences. Students will gain a deeper understanding of topics that frame and relate to the nexus between migration and borders, such as globalization and regimes of difference, ethno-cultural identities and policies of integration, gender and kinship, refugees and asylum practices.